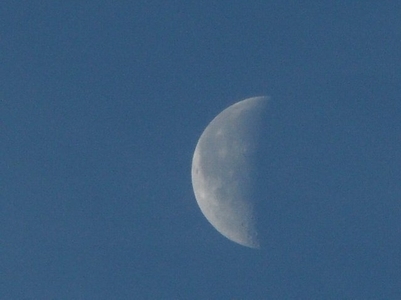 The waning Moon presents a side that is often seen in the daytime sky but is rarely looked at. 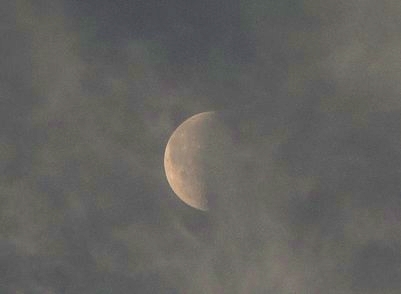 A compact camera captured the Moon through thin clouds in the early morning sky. A gap in the clouds revealed a wide crescent against a blue sky. 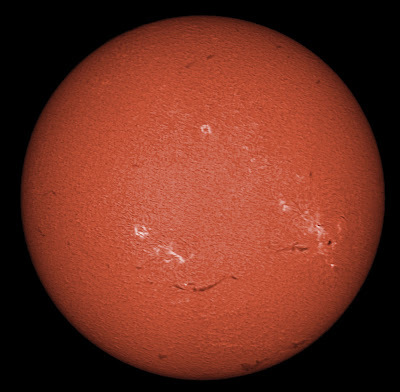 The Sun was imaged in H-alpha and Ca K-line light with PST solar scopes using a DMK21AS camera fitted with a short nosepiece and the lens assembly from a x2 Barlow. A Mosiac was made of the whole solar disk in H-alpha. and overlayed in an animation on the whole disk. The hedgerow prominences had extensions reaching over to adjacent prominences over a substantial arc of the limb.